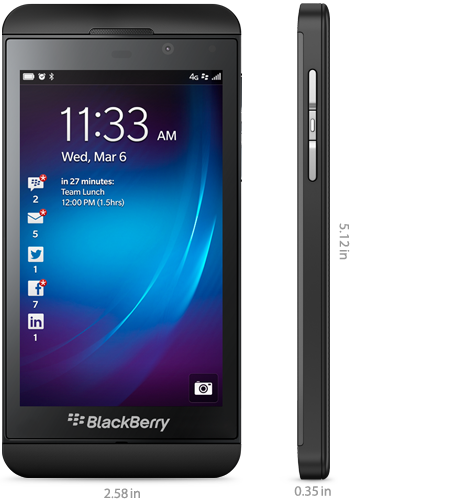 Getting a new phone is great, especially if it is the BlackBerry Z10, but in the formative stages of our relationship with a phone we are missing something. That something is the knowledge of someone who has used the phone for some time and knows all its little shortcuts and tricks. For those who enjoy voice recognition technology, a simple shortcut to the new and improved voice control is to hold down the play/pause button for a few seconds. After all the app would be less useful if you had to swipe around the phone to find it before using it to call someone. To master the BlackBerry Hub you must know its secrets. Accessing it is easy enough, just swipe upwards and to the right (no need to worry that is not the tip), but controlling the clutter may cause more problems. The Hub as a feature is fantastic but putting all your messages in one place can lead to a stressful build up so remember you can select multiple messages to mark as read or for deletion by holding your finger on one message for a second or two and then picking the select more option. Before revealing tip number three I want you to ask yourself: what if the Hub crashes? Now, it is important to say that this is not a big issue but as you know, any kind of technology is prone to some disruption at some point and you do not want to be without your Hub for any lengthy period of time. So, the third tip is that if your Hub crashes all you have to do is swipe down on the screen 5 times in row to restart it and return it back to you, hopefully, fully functional. Obviously, you will want to link your e-mail accounts to the Hub but when doing so Gmail users should keep the following tip in mind. When you are initially linking up your account, make sure you got into the advanced settings and select Microsoft Exchange ActiveSync rather than the default IMAP setting because ActiveSync has a much faster sync cycle. Trust me, you will be thankful later. The fifth tip relates to the browser. When you are on a webpage reading the news, it is sometimes annoying that you have to view the whole page with all the images, videos, etc…well, on a phone. This is where the reader feature comes in handy. The reader feature can be accessed by tapping on the menu button in the bottom right of the browser while viewing a webpage. After selection, it will remove all the images from the page and allow you to read the words in an uncluttered and pleasing arrangement. 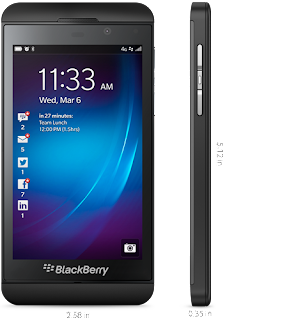 So, hopefully these 5 tips will make the phone feel more user friendly and should also help you on your way to becoming a highly respected BlackBerry 10 expert.